Norwegian Pearl is a Jewel class cruise ship of Norwegian Cruise Line, launched in 2006, sailing itineraries primarily around Alaska and the Caribbean. Construction began October 3, 2005, and Norwegian Pearl was floated out of the Meyer Werft Shipyard covered building dock on October 15, 2006. She then spent a couple of days in Holland where workers and their families could spend some time on board. On November 30, the ship stopped in Southampton, England, to celebrate her entry into service. She made her first voyage with paying passengers on December 2, from Southampton to Miami, Florida, where the ship was based for her first season. Rosie O'Donnell is Norwegian Pearl's godmother. The christening ceremony took place in Miami's Port of Miami on December 16, 2006. The first attempt of the ship's passage under a power line on the Ems River in Germany is claimed to have been the source for the massive power outage that affected first Germany and then all of Europe on late November 4, 2006. As with the rest of NCL's fleet, Norwegian Pearl utilizes the "Freestyle" cruising concept, which allows guest to dine in any number of restaurants, in casual attire, at times of their own choosing. Norwegian Pearl is the third of NCL's four Jewel-class ships. 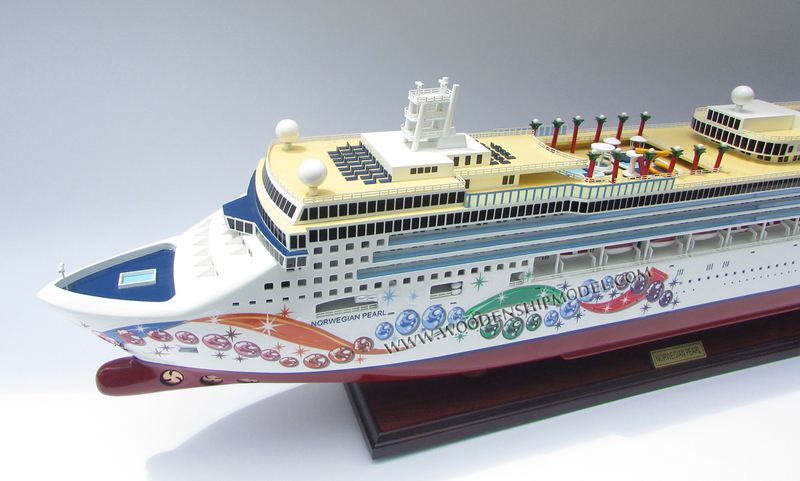 She was preceded by Norwegian Jewel in 2005, and Pride of Hawaii (now Norwegian Jade) in 2006. 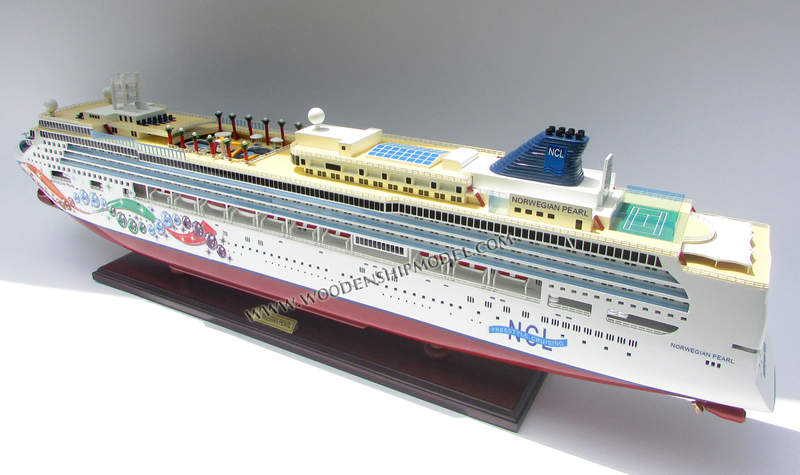 She was followed by Norwegian Gem in 2007. 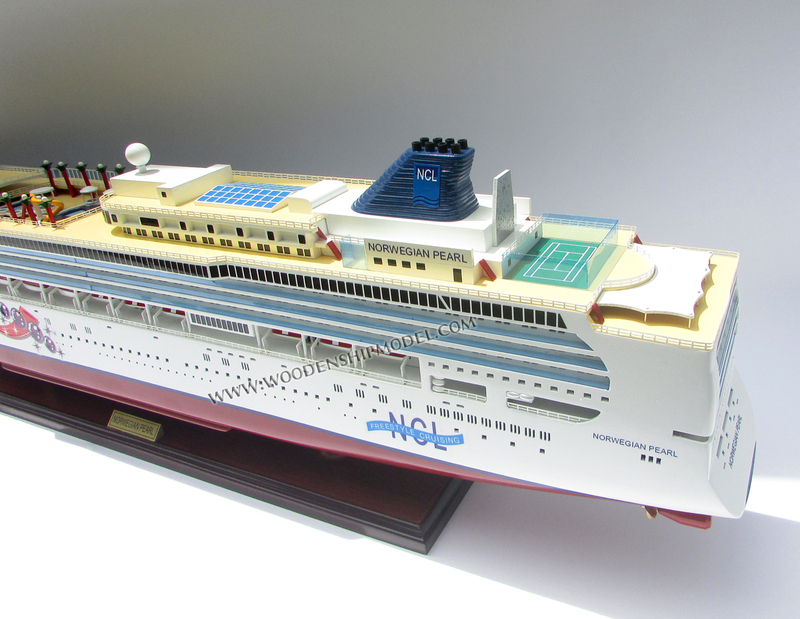 Each ship has unique amenities, but has a similar exterior and interior design. 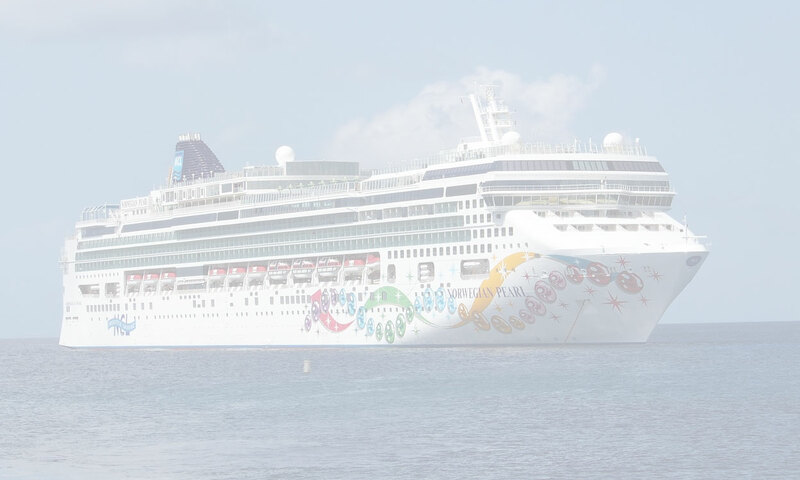 Norwegian Pearl has a similar exterior appearance to NCL's Libra-class ships; Norwegian Star, which entered service in 2001, and Norwegian Dawn, which entered service in 2002. The interior design and amenities, however, are significantly different and merit Norwegian Pearl a Jewel-class designation. 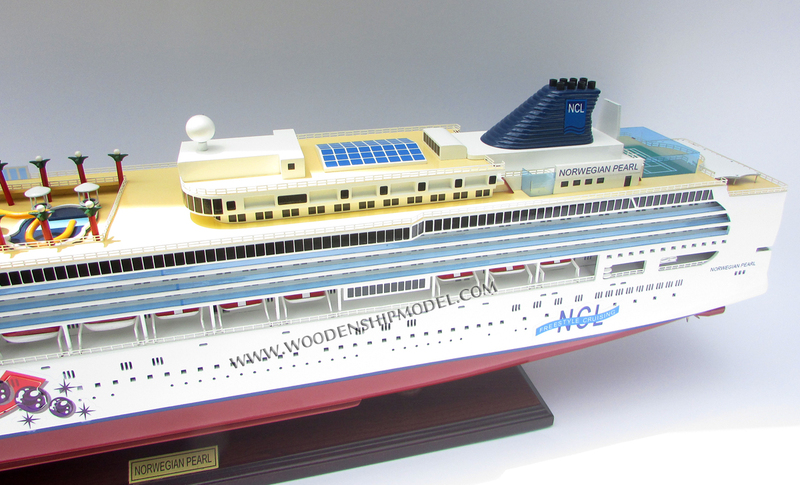 Norwegian Pearl was featured on the 2009 CNBC documentary Cruise Inc.: Big Money on the High Seas. 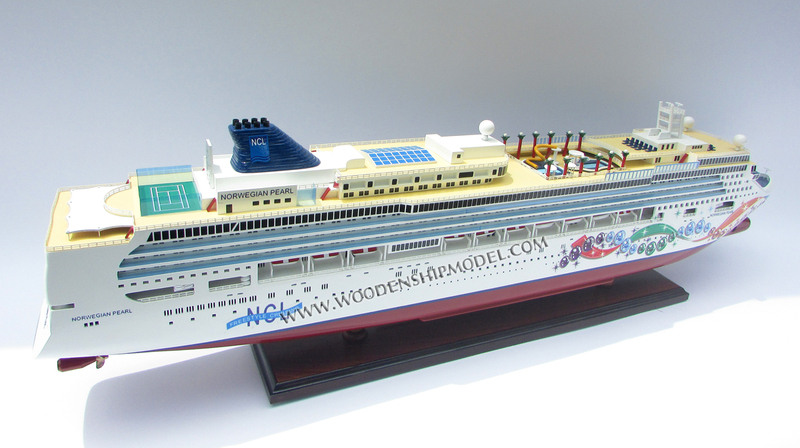 Norwegian Pearl has been used by the rock group KISS for their annual KISS Kruise since 2012. In March 2014, American rock band Paramore embarked on a special three-day event entitled "Parahoy!". 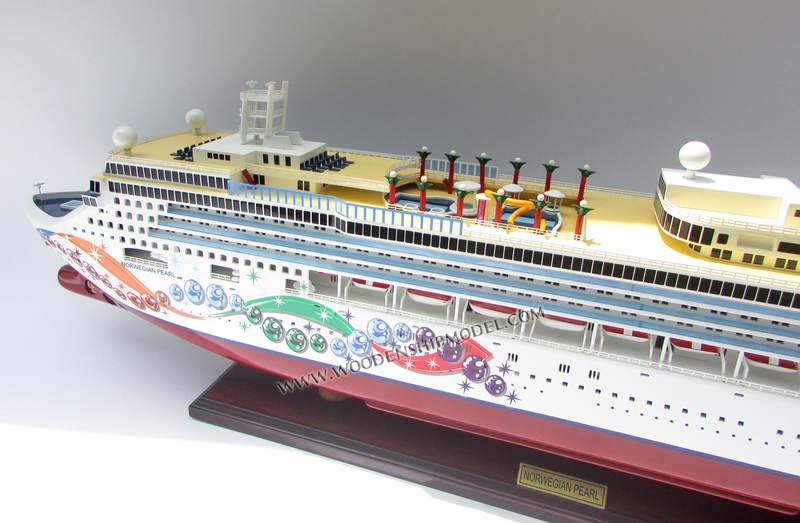 The event saw fans embark on a cruise with the band members and featured activities and two concerts. In February 2015, the ship hosted the annual "Shiprocked" cruise headlining Limp Bizkit, Black Label Society, Buckcherry, and a pre-party Headlined by Chevelle. Many other artists and events took place during the cruise both on the ship and on the private island of Great Stirrup Cay. In January 2016, the Pearl took to the Caribbean with a ship full of Walker Stalkers, fans of Robert Kirkman's/ Skybound Comic's "The Walking Dead". With Sixthman Ninjas leading the way, the first ever "Walker Stalker Cruise" made its maiden voyage from Miami to the island of Freeport Bahamas with celebrity guests from AMC's, The Walking Dead. A second Walker Stalker Cruise took place in February 2017 which called at NCL's private island, Great Stirrup Cay and featured Norman Reedus, Jeffrey Dean Morgan, Greg Nicotero, Tom Payne, Michael Cudlitz, Chandler Riggs, Katelyn Nacon, Michael Traynor, Alana Masterson and Ross Marquand. The entire Impractical Jokers episode "Cruisin' for a Bruisin'" including all of the challenges and a double punishment of Murr and Joe were filmed on board the Norwegian Pearl . The episode aired on May 7, 2015. Norwegian Pearl sails Caribbean cruises out of New Orleans, and Alaska cruises out of Seattle depending on the time of year. The ship has Panamax dimensions, which make it possible for her to transit the Panama Canal while repositioning between the two ports. From Early May to late September, the Norwegian Pearl does a one-week cruise to Alaska. In the fall/winter, Norwegian Pearl cruises around Panama, the Caribbean, and Miami. Norwegian Pearl will spend summer 2019 in Europe offering various sailings from Amsterdam, Rome (Civitavecchia), Barcelona, and Venice.